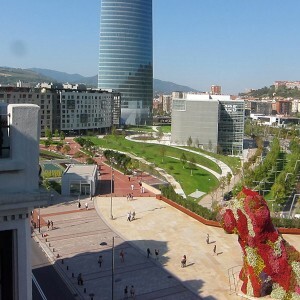 Campa de los Ingleses Park flows from the Guggenheim Bilbao Museum, unifying the Abandoibarra area of Bilbao and the Nervión River. 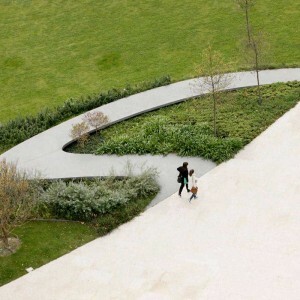 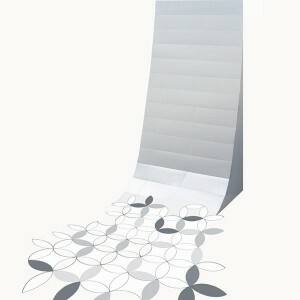 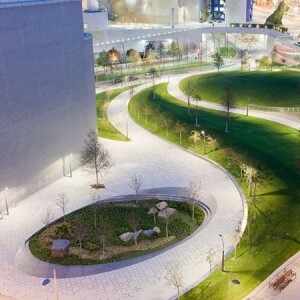 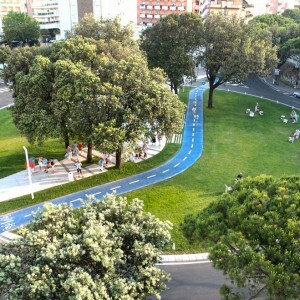 The park’s defining lines mark undulating paths that pull up to create a series of curving terraces. 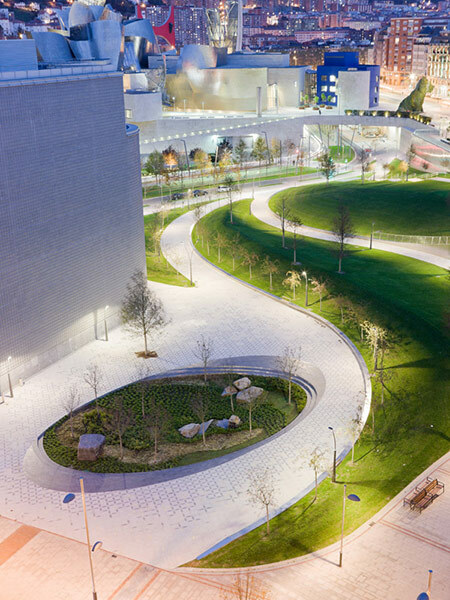 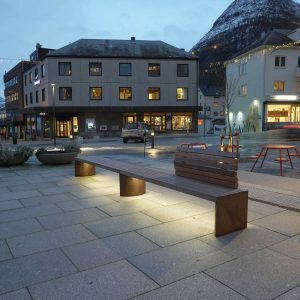 These topographic waves mediate a 10m/33ft elevation difference across the park allowing for a café to be tucked under the earthform. 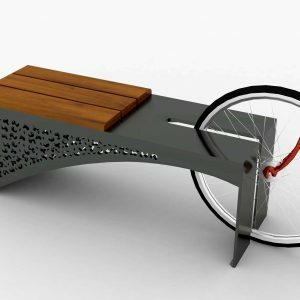 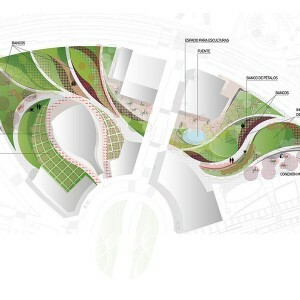 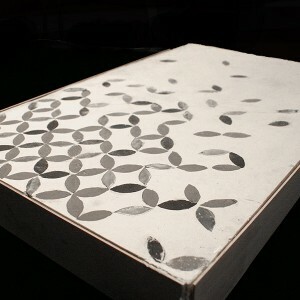 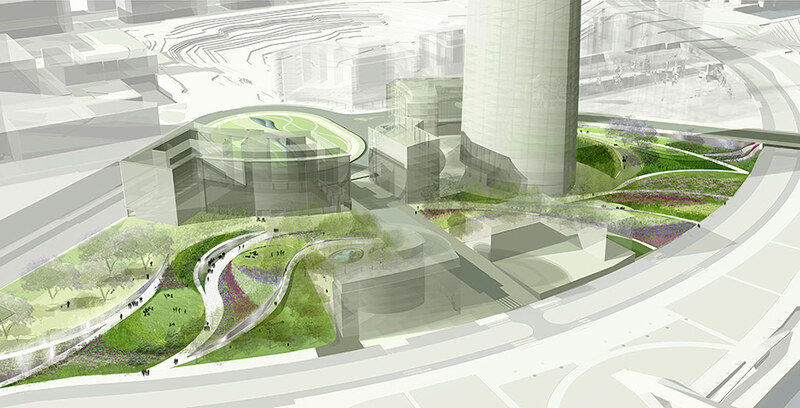 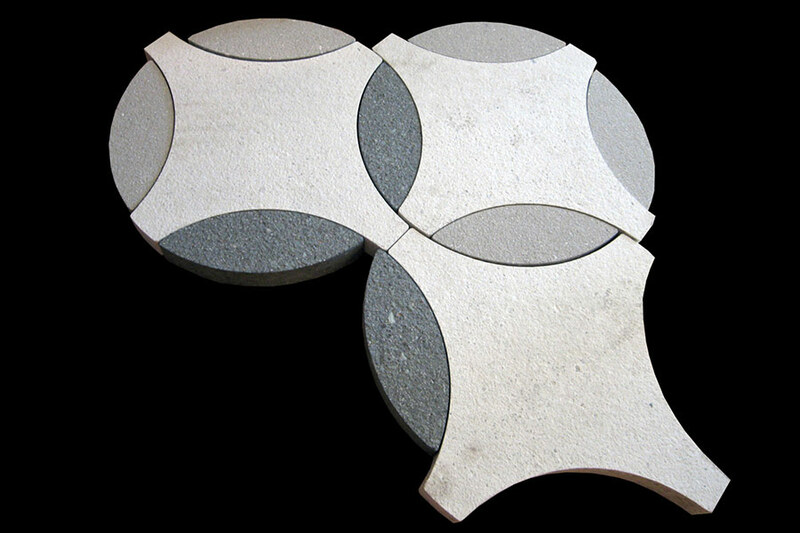 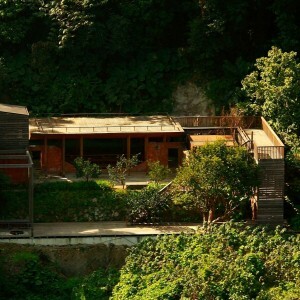 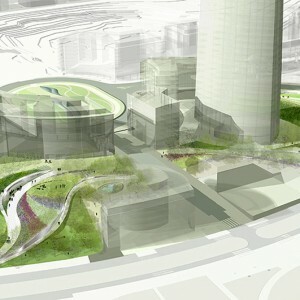 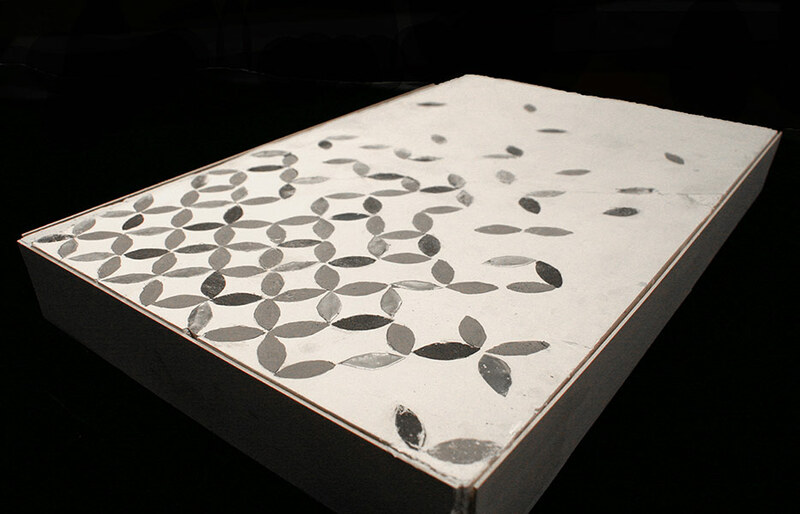 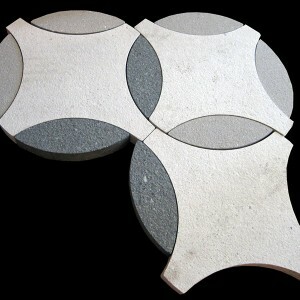 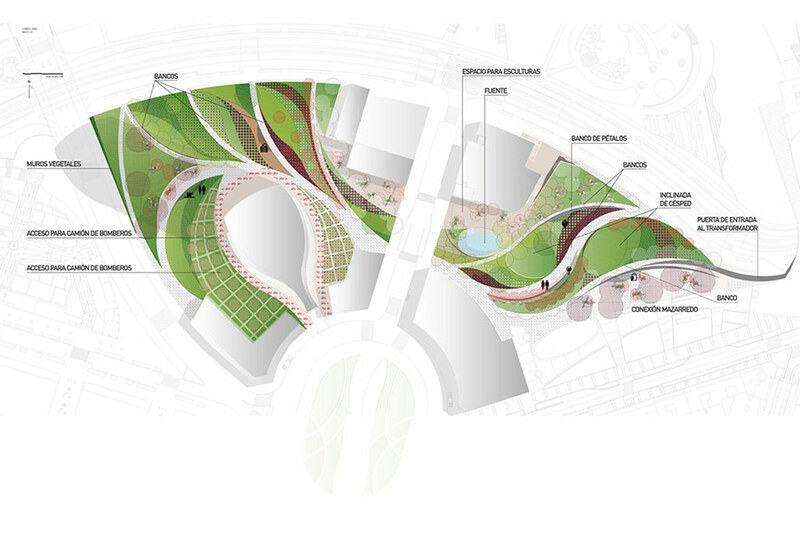 The terraces, ramps, stairs and walls flow into one another to sculpt the park. 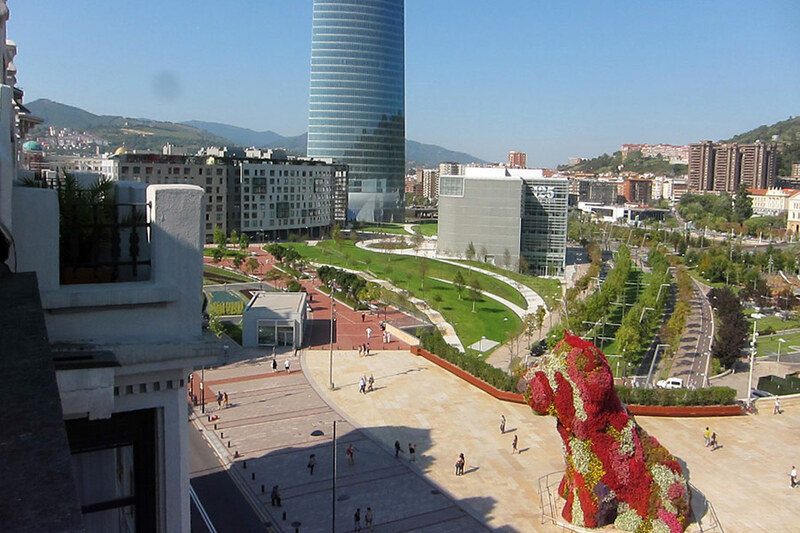 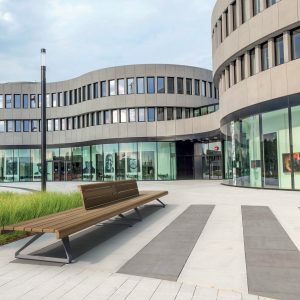 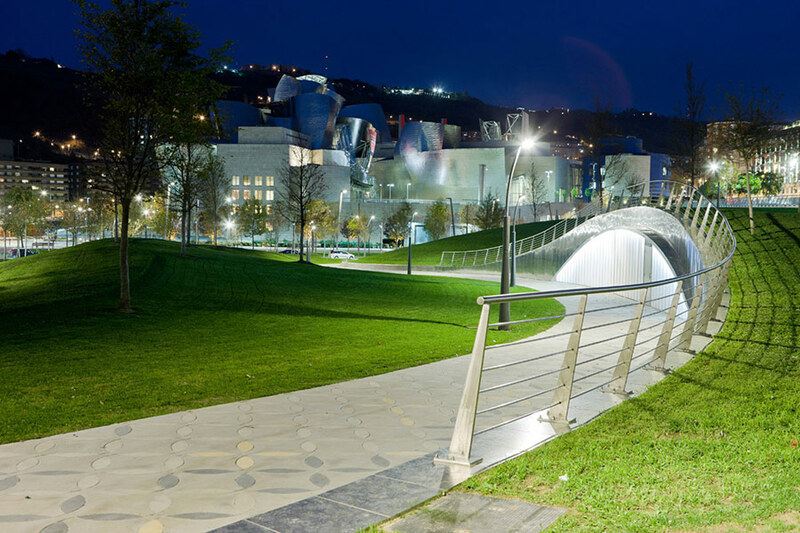 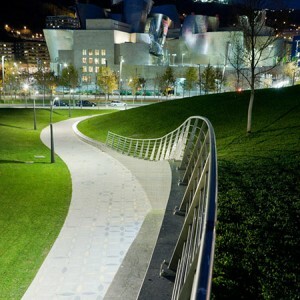 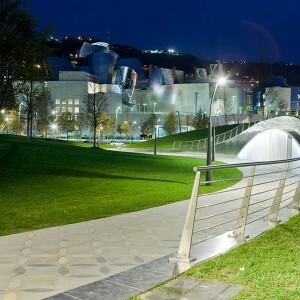 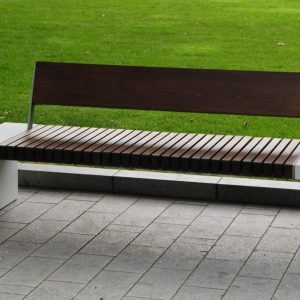 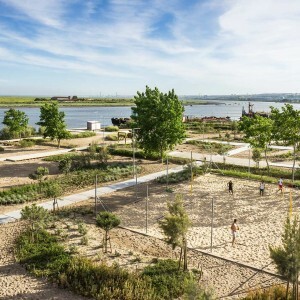 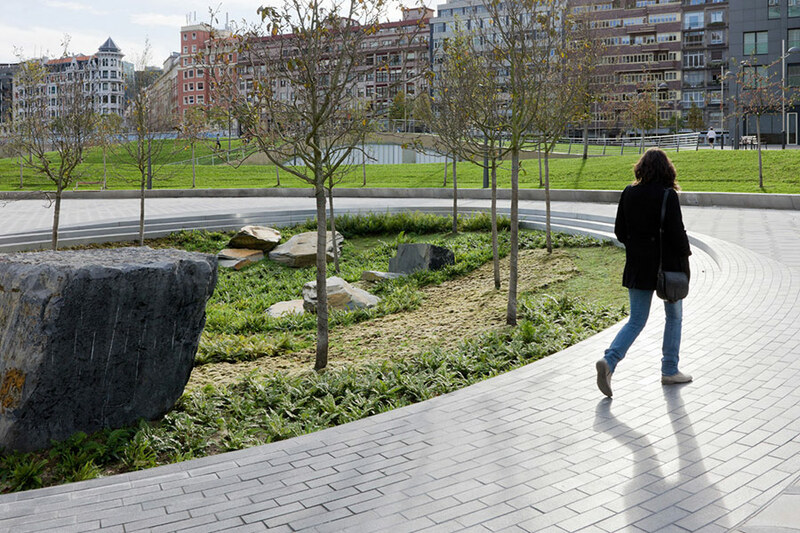 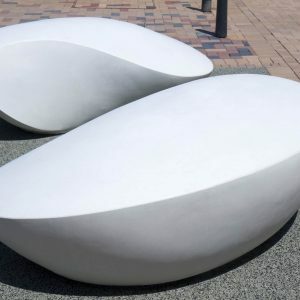 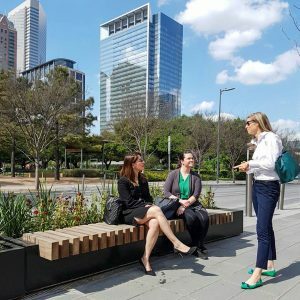 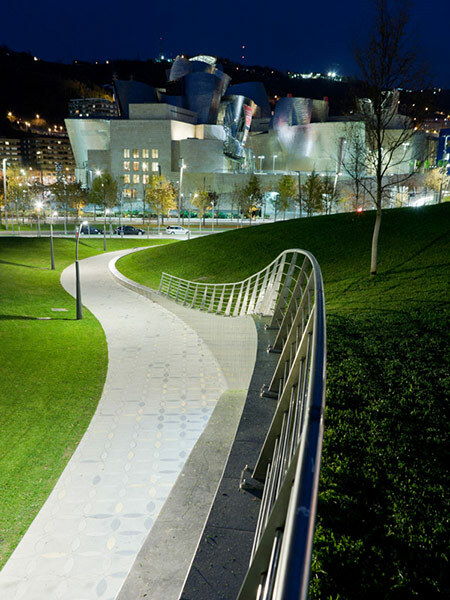 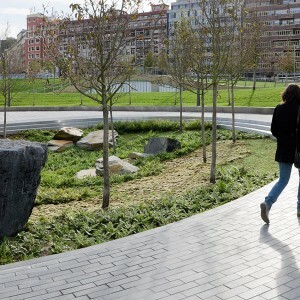 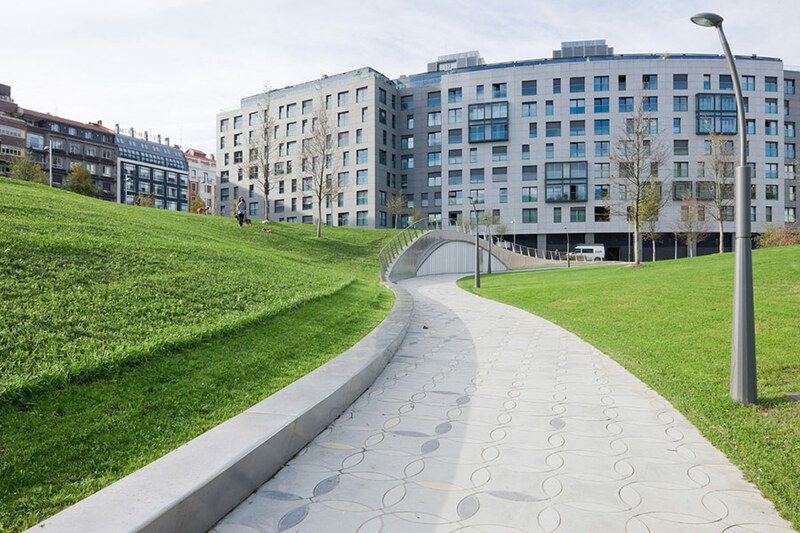 The park integrates the Mazarredo, Deusto Bridge, and the Plaza Euskadi with the surrounding buildings and most importantly with the Nervión River into a seamless urban experience.